Members of the Lagos State Igbo Group who were card carrying members of the Peoples Democratic Party, (PDP) in Lagos State have decamped en-masse to the All Progressives Congress, (APC). The defection was witnessed in Ifako Local Government Area of the state when the Itesiwaju Ipinle Eko Vanguard received them to their fold. 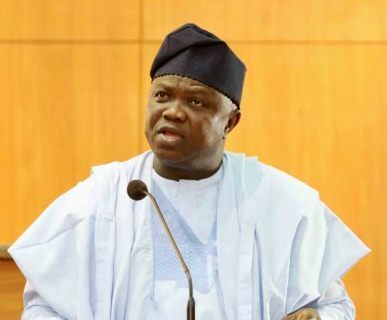 Those that defected said their resolution to join the APC was triggered by the performances of the Lagos State Governor, Akinwunmi Ambode who they said is determined to make Lagos mega smart city. Speaking on behalf of the group, their leader, Eze Ohazurike, a close associate of the Former President, Dr. Goodluck Ebele Azikiwe Jonathan said, “Our decision to support him for another term in office is based on the fact that he has performed extremely well; we can all see that everything that he has done in Lagos State, no other state has been able to do that. Eze Ohazurike added that, "we want the Governor to continue his mentoring in all the 20 Local Governments and 37 Local Council Development Areas of the state towards effecting the ongoing development at the grassroots." Addressing the people, the State Coordinator of Itesiwaju Ipinle Eko Vanguard, Hon. Seyi Bamigbade who facilitated their defection, said the Itesiwaju Ipinle Eko Vanguard was willing to accommodate more people that would work for targeted five million votes for Governor Akinwunmi Ambode in the 2019 General Election. Bamigbade, urged Lagosians to use the opportunity of the ongoing PVCs collecting to collect their PVC, urging the Independent National Electoral Commission (INEC) officials to show more commitment.